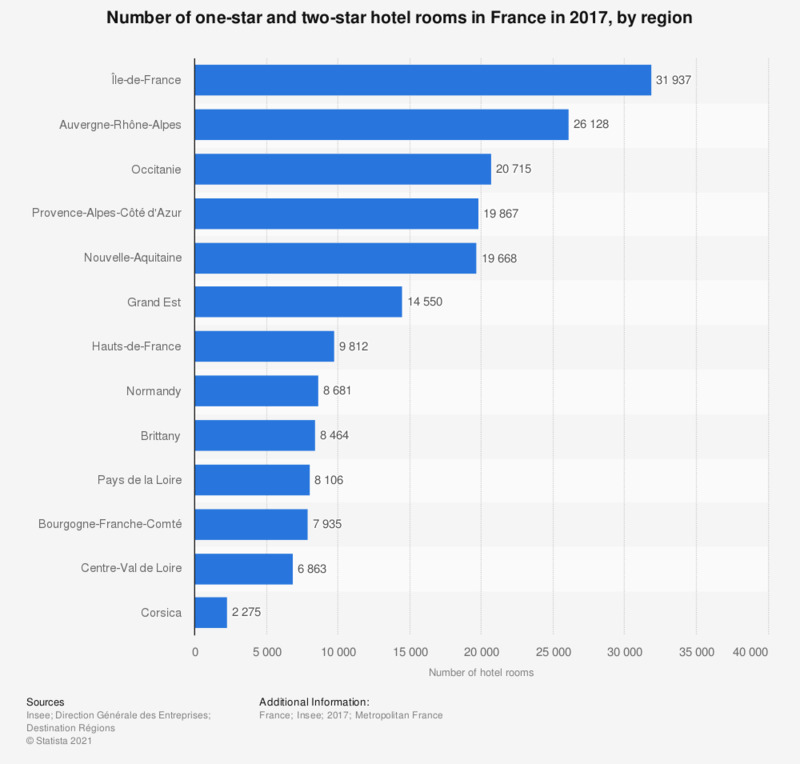 The statistic shows the number of one-star and two-star hotel rooms in the different regions of France in 2017. In the Nouvelle-Aquitaine region, there were almost 20,000 one-star and two-star hotel rooms. In comparison, there were approximately 31,600 one and two-star hotel rooms in Île-de-France (Paris region).